The superior room is our Elite choice, at a reasonable prize. The bathroom has been completely remodeled and Restored, a new A/C was installed and you can enjoy the pleasure of a flat screen TV, You will also have a stunning view of our pool area from the private Balcony. 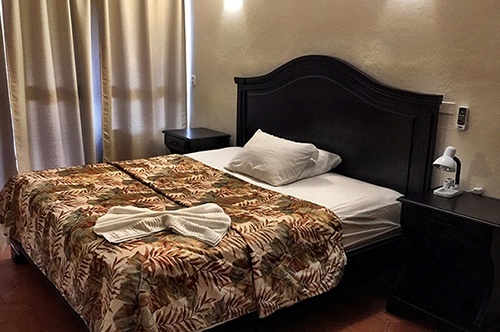 The Standard Rooms combine the best deal for space ratio, you can choose between double Queen size bed or single King size bed, and they come with all the necessary accommodations, including air conditioning, free WiFi, flat screen TV, minibar, bathroom and large balcony and free safe box. 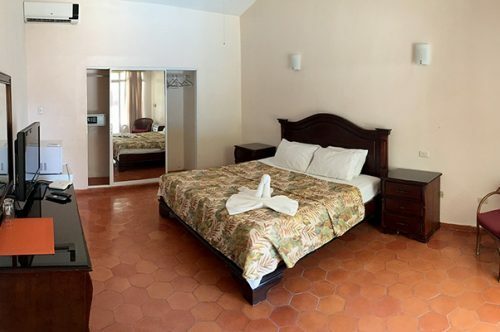 Two rooms of bungalows are located in a separate building, and have direct access to the pool. High cathedral ceilings create a special atmosphere for this truly large room.